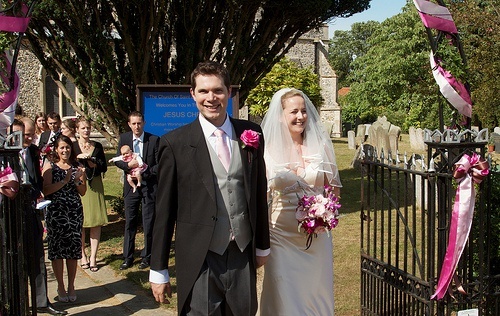 After more than 14 wonderful years with my girlfriend, Verity, last weekend we finally tied the knot. It's hard to put into words just how excited I was to finally get to enjoy our wedding day with so many of our family and friends and there is a risk that this post could become a sprawling gush-a-thon. I'll try not to do that. You can take my gushing and delight as read. I do want to take a moment to acknowledge the effort that so many people put into making our day so fabulous though, and perhaps mention a few highlights. 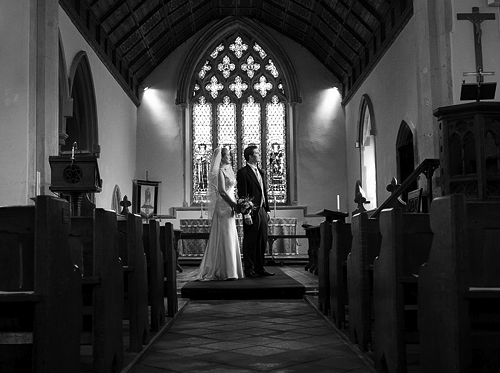 Verity and I were married in the lovely little church in Horringer near Bury St Edmunds before a reception at the West Wing at Ickworth House. I was surprised at how my nerves didn't really manage to rise too much while I was waiting at the church but the fun of greeting dear family and friends as they arrive with huge smile on their faces seems to chase the butterflies away. The downside of that is that (just as everyone had advised me) the time was flying by before I had realised the day had even begun. A running joke among our friends is how Verity is often late to social engagements, so there was a lot of banter around how long she would keep me waiting. Happily, she was only a fashionable 10 minutes late (or so I'm told, I was too busy soaking up the atmosphere to start looking at my watch). In that time I was incredibly well supported and attended by my best man, my brother Stephen. 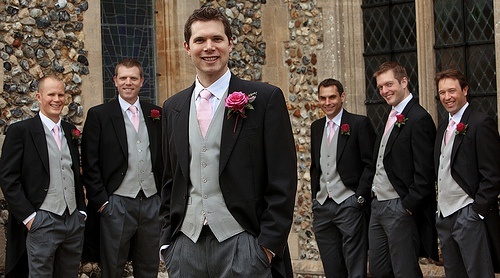 A quick tip - a best man who has already been through a wedding of his own has some great little insights which can really help as you arrive at the church and prepare for your big moment. Nothing, however, prepared me for the moment I saw Verity arrive at the church and make her way up the aisle towards me. Breathtaking. From my vantage point, the ceremony seemed to be fun and spirited while being sincere and weighty. A difficult balance to strike so I was delighted with how well Rev Sue Nutt did. She made it really enjoyable. It also helps that when you turn and glance around at the congregation, you see nothing but the beaming faces of friends and family. (...and I said I wouldn't gush!). We had memorable readings from Verity's brother Mark, sister-in-law Faith (ably assisted by niece and nephew Molly and Stan), and my sister Claire. All of which had special and poignant moments for both Verity and I. The sun came out to welcome us out of the church and we spent quite a few happy moments chatting to everyone on the green before climbing into a carriage, feeling like royalty, for the short journey up to Ickworth House where we were greeted by our lovely Toastmaster, Colin. Colin really helped to keep things running roughly to schedule and looked like quite the bobby dazzler. The next part of the day went by in the blink of an eye. We had our group photos taken in the grounds of the West Wing. Meanwhile a local brass band provided some music while the canapes were supplemented by an ice cream bike serving ice cream to the kids (and the adults). I would have loved to spend a good long time mingling at this point, but this was our time to gather groups for the photos. Our awesome ushers did a great job of that, which helped keep things moving quickly. When looking for a photographer, I was quite specific about the kind of style and quality that I was looking for. Being a little less organised than I would have liked meant that we didn't find quite what we were looking for in the area and so widened the search a little. At the time of writing, we've only seen a few sneaky peeks at the photos, but the signs are really good. We couldn't have been happier with the friendly and talented Barrie Downie who directed us really well, clearly loved his job and has an amazing eye. It never felt like Barrie was dominating the proceedings and was really sensitive to what was important to us. While I'm talking about people who did an amazing job for us, we were just delighted with our florist, Zoe Mills. Zoe is from the area and operates under the great name of Mills and Bloom. Zoe was just fantastic and we'd eagerly recommend her. She seemed genuinely excited for us and about the details of the flowers as they developed. That kind of excitement and calm in the run up to the day was really helpful and energising for us. She carefully listened to all of our requests and added her own insights and considerable knowledge to really bring things to life. Thanks Zoe! Castleton Brass, the Icicle Tricycle and the staff at Ickworth House were all wonderfully helpful and friendly. With guests seated and ready for some grub, Verity and I got to make our entrance and make our way to our seats to loud applause. Having gobby enthusiastic friends guarantees you a generous and exciting entrance. It. Was. Awesome. We opted to have our speeches before we ate, which certainly helped me enjoy my food all the more without my nerves mounting as the moment approached. As it turns out, far from being particularly nervous at this point, I was actually more excited to get the chance to thank everyone and say some things that were important to me. I firmly believe that you can't get a warmer, more receptive audience than at your wedding and you can't go far wrong as the groom if you are just sincere. It felt wonderful. My father-in-law, Keith gave an excellent, warm speech which got me settled for mine. My brother Stephen gave an absolutely remarkable best man speech which he set up and delivered entirely as rhyming couplets. Full of moments to make me cringe, everyone laugh, and many of us cry it was, frankly, legendary. The food was followed by drinking, chatting and dancing. All of which went by too quickly. Verity and I opted for a combination of a home made playlist (the contents of which had been largely crowd-sourced from all of the guests) to provide some quality, wedding-grade cheese, and a live band to provide some funk. My good friend Nigel plays the bass in an excellent band called Club Soul who were absolutely amazing and packed the dance floor immediately and for the duration. Another hearty recommendation. Another detail which was important to us was that ours should be a child friendly wedding. So many of our friends have young kids now and our family has grown over the years to include kids and teenagers of all ages who we couldn't imagine the day without. We debated for a while about whether or not a creche service, which had been recommended to us, would be worth the effort. I argued that people might not want their kids vanishing into the adjoining room to be monitored by strangers, and that they might feel like their kids weren't being included. Verity thought that many people would find it useful and that having the option would give several of our important friends the opportunity to spend more time celebrating with us, and prolong their evening. Boy oh boy, was Verity right! We used a group called Artful Splodgers who did a fantastic job. Kids of all ages were being entertained with all manor of crafts and activities and they were totally engaged. Several of our friends gave us enthusiastic hugs and thanks specifically for the creche which worked perfectly. For a wedding which had so very many children in attendance, there was no disruption during the speeches, no drama from anyone getting "over tired" and yet we got to enjoy the company of lots of excited kids who were keen to show us the latest things that they had made. Yet another recommendation! All too soon, the night wound to an end and after saying some emotional goodbyes, we retired to the Angel Hotel in Bury St Edmunds with a handful of friends who were also staying there. We, the final few, chatted away over a bottle or two of fizz until well into the early hour before our eyelids got too heavy to manage. 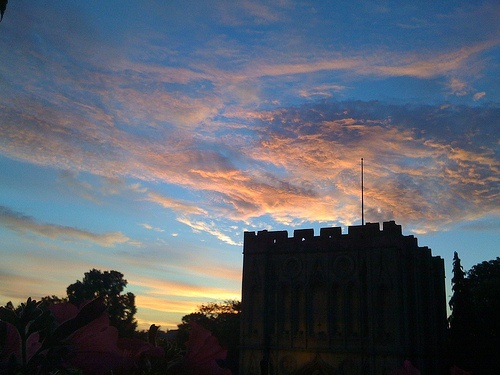 Verity and finally came to terms with the fact that we wrung every last drop out of the day and headed for bed around 4am and spent the next hour sitting in the window of the hotel watching the sun rise over Bury St Edmunds' Abbey Gate excitedly recounting the day. I think that we'll be boring people with details, highlights and photos for a very, very long time to come.